Cold pressed oil obtained from the seeds of the Plukenetia Huayllabambana plant that only grows in the Province of Amazonas in Peru. One of the highest sources of alpha-linolenic acid (Omega 3) among all vegetable oils with up to 58%. Also contains linoleic acid (Omega 6) and oleic acid (Omega 9). It also has a high concentration of Tocopherols (Vitamin E) specifically gamma and delta Tocopherols. It has an ideal balance between Omega 3 and Omega 6 (2.3 to 1). 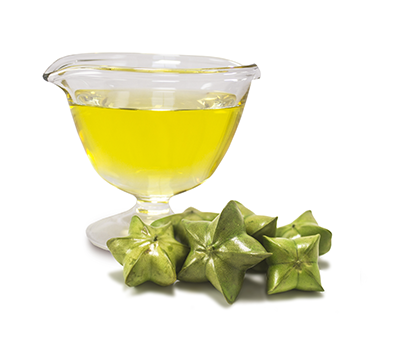 Multipurpose oil ideal for cosmetic, food, nutritional supplement and pharmaceutical industries. Helps support healthy blood pressure and cholesterol levels within a normal range. Antioxidant, emollient and skin and hair smoothing properties. Kosher, Vegan, Gluten-Free and GMO-Free. Free of additives, irradiation and BSE/TSE.